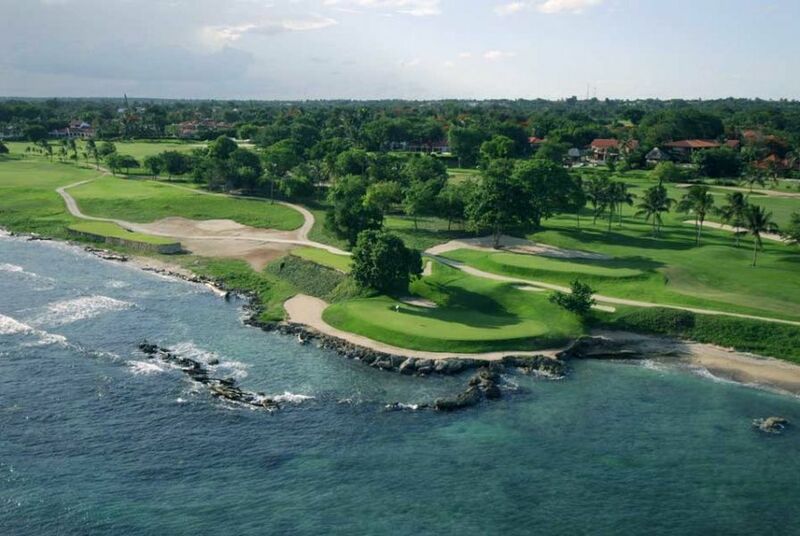 Ranked the number one course in the Caribbean and 34th in the top 100 courses in the world by Golf Magazine, play Teeth’s seven holes directly on the Caribbean Sea. The “Teeth” course attracts the best professional and amateur golfers in the world. Tricky shots include a devilish dogleg and signature Dye obstacles such as elevated greens and trick of the eye trees. Top-notch caddies are ready and eager to guide you through the terrain. • Course Length/Par (All Tees): Back 6,888 / 72, Middle 6057 / 72, Forward 5571 / 72. 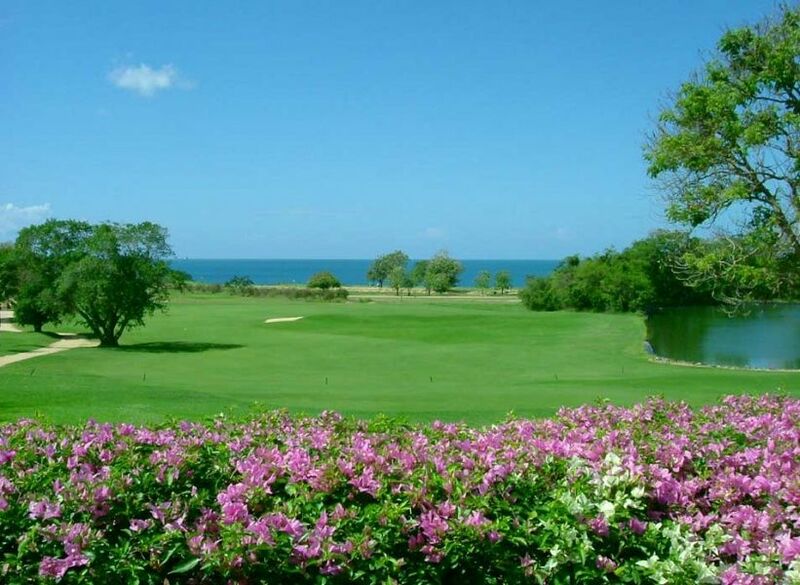 Our golf package includes: 18 hole green fee, guaranteed tee-time, golf cart and includes 16% tax. 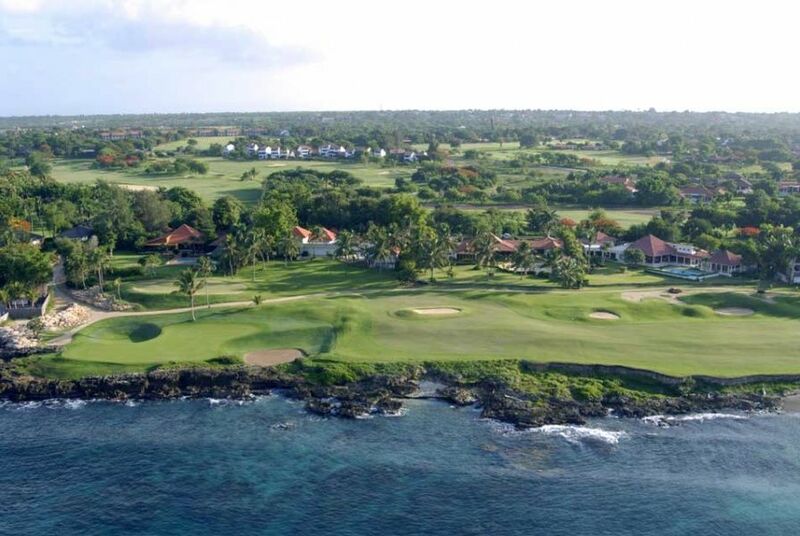 Take Road No 3 from Santo Domingo airport to La Romana, through La Romana, turn right into the «Casa de Campo Resort». Driving time: 70 minutes. 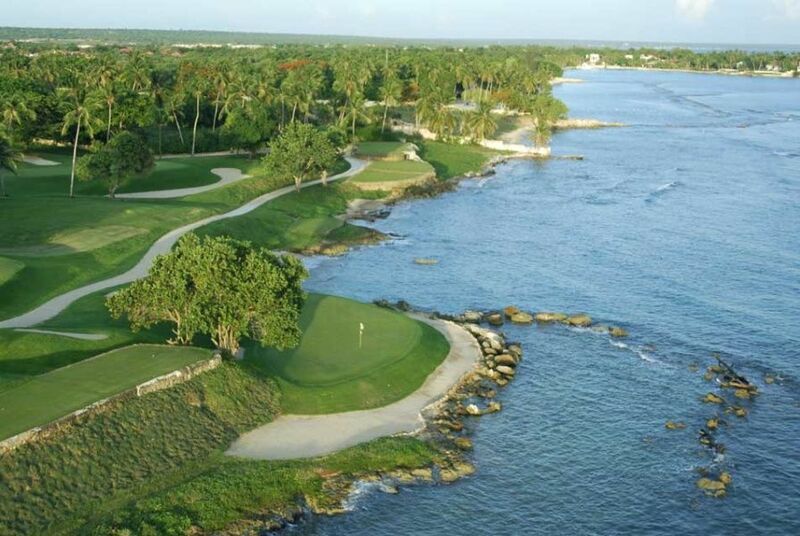 Also by plane directly from Santo Domingo airport to the Casa de Campo airport or directly with American Airlines. Teeth of the Dog Golf course is not yet in our pool of Golf Courses for orders.